Spain’s northern, Atlantic Ocean–influenced winegrowing zones were virtually unknown to most wine lovers only a decade ago, but things have changed dramatically. Some of Spain’s most sought-after, high-quality and highly allocated red wines come from Bierzo and Ribeira Sacra, and the popularity of the area’s racy whites, especially those of Rías Baixas, which are usually exclusively made with the local Albariño variety, continues a steep upward trajectory. This was hardly the case just a decade ago, when these wines were seldom encountered outside the region, except in forward-thinking restaurants scattered across Spain. Today, collectors are chasing down small-production, Mencía-based Bierzos and Ribeira Sacras with the zeal of Burgundy aficionados, and Galician white wines have established a strong and growing foothold in stores and, especially, restaurants around the world that feature seafood- and vegetable-based menus. There has also been an uptick of interest for the less commonly encountered white and red wines of Ribeiro, Monterrei and Valdeorras, many of which are proving to be outstanding and, for the time being at least, mostly terrific values as well. Albariño vines in Rías Baixas are traditionally grown on the traditional, overhead pergola system, the better to combat the region's often humid conditions. Most of the wines here, red as well as white, tend to be made with a light hand, meaning that they are not too extracted and on the low-alcohol side, displaying bright acidity and, usually, minimal oak influence. The vast majority of white wines are raised entirely in stainless steel and/or concrete tanks, and, when oak comes into play, it’s usually in the form of large, neutral vats or barrels, for reds as well as whites. Given the cool conditions that dominate the area, acidity levels tend to be on the high side and pHs are, as a rule, low, meaning that the general style of all the wines is lively and mineral-driven, the white wines showcasing citrus fruit and floral qualities and the red wines showing red rather than dark fruit character coupled with spiciness and florality. Fans of Pinot Noir, Gamay, Dolcetto and Loire Valley Cabernet Franc will find a lot to like from the red wines here, as will white wine aficionados who favor Sauvignon Blanc, Riesling and cool-climate Chardonnays such as Chablis. Restraint, elegance and precision, far more often than not, are the bywords. Bierzo's terrain ranges from the flat plains of Bajo Bierzo to the mountainous Alto Bierzo, allowing for a wide range of wine styles, from brawny to elegant. Two thousand seventeen was a mixed vintage weather-wise, as was the case across Europe. 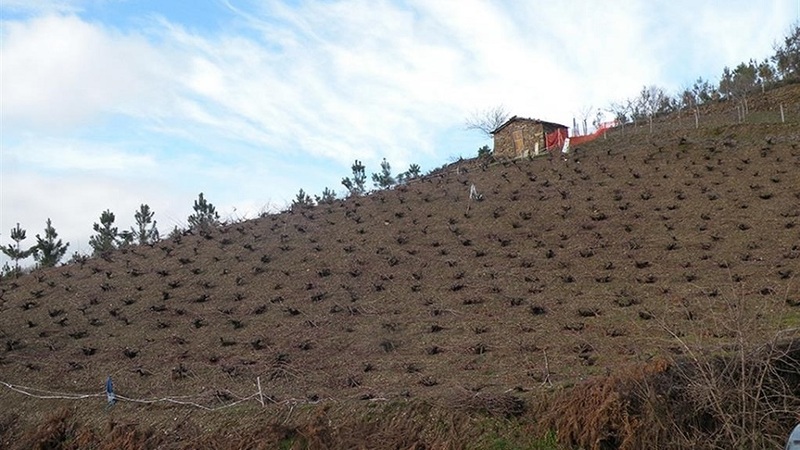 Severe spring frosts hit Valdeorras and Monterrei especially hard, resulting in low – often dramatically low – crop yields. Rias Baixas, by contrast, was spared the frost, and while a few spots suffered from a summer drought, yields were solid and even on the high side for most producers. The resulting wines generally show their typical liveliness and clarity. Bierzo and Ribeira Sacra experienced early ripening on an epic scale, such that the Mencía, in many cases, was ready to pick at the end of August, a full three weeks ahead of its normal schedule. This accelerated ripening shows in the richness of many wines, which often come off as a bit less energetic than one might typically expect. On the eastern end of Spain’s northern coast, in Navarra and the Txakolina zones, there were spring hailstorms that, predictably, curtailed yields, but the fruit that made it through was healthy, while sugar and acidity levels were normal. Old-vines Garnacha in Navarra was especially successful, so these will be wines to look for. It was a similar mixed bag in 2016, when parts of Bierzo and especially Ribeira Sacra, were hit by hail in August, resulting in often massive losses of nearly ripe fruit, just as harvest was nearing. In the far northwest, in Rías Baixas and Ribeiro, mildew was a problem in a number of vineyards during flowering, but a dry summer helped produce healthy, ripe fruit that had slightly lower acidity than normal, meaning that a number of wines, while still lively, show more body and less citrus fruit and mineral character than usual. Navarra and the Txakolenjoyed extremely high yields of healthy fruit. The only caveat I would offer here is that some producers whose eyes are trained more on quantity than quality didn’t drop enough fruit, if any, and wines come off dilute or lacking structure. Fortunately, these aren’t the sort of bodegas aren’t the focus of our coverage at Vinous. 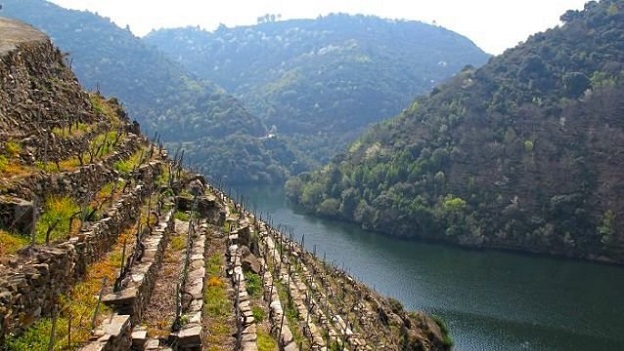 Ribeira Sacra's incredibly steep vineyards yield some of Spain's most elegant and complex red wines. While many attentive and curious wine lovers have become familiar with Galicia and León’s dominant Albariño and Mencía varieties over the last decade, most of the other native grapes of the region continue to toil away in relative obscurity. But that seems to be changing, judging by the increase of availability and sales of wines that feature the white Godello and Treixadura varieties. Godello, in particular, is held in high regard by producers in the region for its ability to make wines that combine depth and energy as well as complex bouquets that showcase often-exotic floral character. The wines typically age gracefully as well. 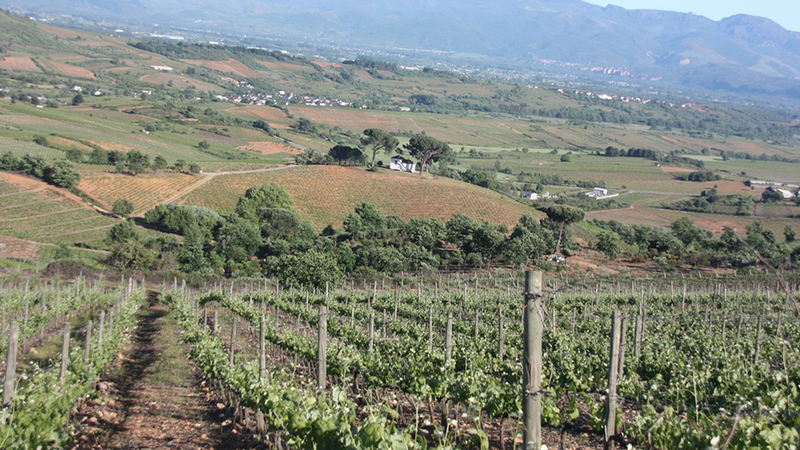 There has also been increased action for the red Caiño Tinto, Sousón, Brancellao and Louriera varieties, but their plantings pale when compared to the white grapes. Some of the area’s most intriguing wines, in my view, are the still-rare examples of red Rías Baixas, which show distinct raciness, powerful minerality and spiciness and are usually made from some combination of those obscure red grapes. 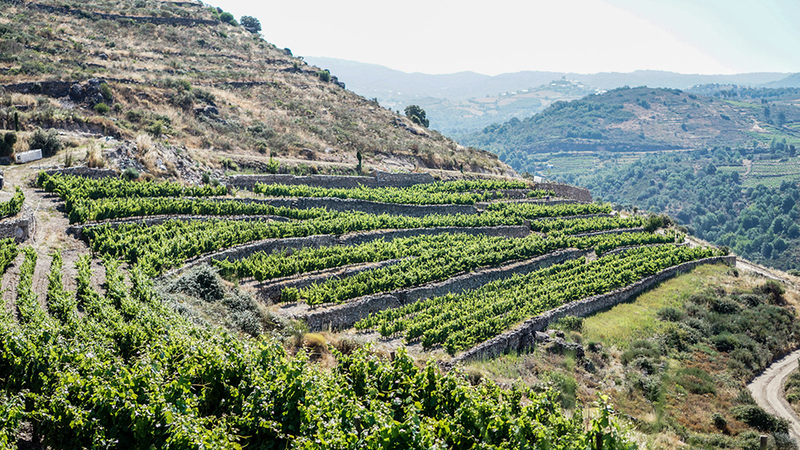 Terraced vineyards in Valdeorras, overlooking the river Sil. Today, this relatively obscure zone is emerging as one of Spain's most exciting growing regions. There’s a checkered history of quality in Navarra that continues to keep the region under many wine buyers’ radar. That’s unfortunate, as quality has been rising over the last decade. I suspect that a big reason for the market’s coolness toward Navarra is the fact that producers pretty much went all in for planting international varieties in the 1980s, and the results were often lackluster, at best. The finest producers, though, are making wines from the native Tempranillo and Garnacha that compare very favorably to those from neighboring Rioja, often at extremely reasonable prices. The small, inland Monterrei region is home to numerous old Mencía bush vines. These vibrant, low-alcohol, light-bodied wines, which are usually made from the local Hondarrabi Zuri grape (which represents some 95% of the plantings in the prime Getariako Txakolina zone), are extremely easy to drink but, with rare exception, they make questionable cellar candidates. In fact, it’s the rare Txakoli that benefits from any aging at all, in my experience. While many Txakolis are quite well-made, their popularity in the early 2010s caused pricing to begin accelerating to the point where many buyers began balking. Indeed, in a number of cases, the wines are priced higher at retail in export markets than many white Riojas that typically show more complexity and don’t require drinking before their second or even first birthday. That said, I can’t think of a better match for raw oysters, clams, sashimi or sushi (especially mackerel) than ice-cold Txakoli. I enjoy indulging in these pairings as often as possible.